Review: "Pedro" by Michael Silverman and the man, Pedro Martínez. "Pedro" was released last Monday. Compared to most of the fans of the 20th century, I am extremely young to say that I've been suffering as a member of the Red Sox Nation. 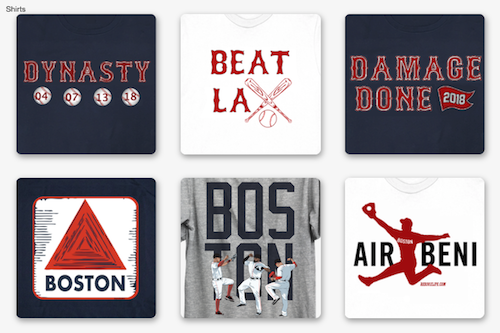 I've seen the Red Sox win three World Series, pitch four no-hitters and the greatest clutch-hitter in Red Sox history perfom in October; but I must say that the most remarkable memories I have as a Red Sox fan, are starred by Pedro Martínez. If you are not able to remember Fernando Valenzuela during the early 80s, The Ryan Express or Sandy Koufax in the first half of the 60s, Pedro Martínez is the best pitcher you've ever seen. 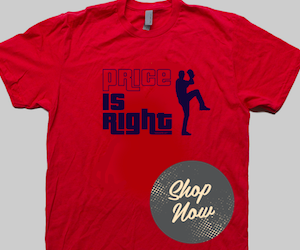 Move over Maddux, Glavine or Clemens, the three-time Cy Young Award winner is the most remarkable pitcher of our era. With one World Series ring in his hand, a Pitching Triple Crown in his head and three Cy Young trophies in his shelf (without a single needle in his arm during the Steroid Era), Pedro Martínez is now a first-ballot Hall of Famer with a published book. As you may know, "Pedro" was released last week and is written by the Boston Herald's Michael Silverman and Pedro Martínez. In his autobiography, Pedro tells the fascinating story of a skinny kid from the Dominican Republic with the goal of following the steps of his older brother Ramón, as a Major League pitcher. With heartbreaking moments as how his mother struggled to bring food to the plate every day and listening to Dodgers' scouts say that he didn't have the talent to be a Major Leaguer, Pedro and Silverman manage to cautivate the reader in a way that you feel that you're actually with them. You see how and why Pedro had an attitude of "you're with me, or against me", that began as soon as his career launched. He was an underdog and often called "Ramón's little brother", and began to become a pitcher from the Dominican Republic with everything to lose and nothing to win. Throughout the book, Martínez keeps reminding us that after all he was just a guy from the Dominican Republic that wanted to be the greatest pitcher of his time. And he was. You can actually understand why he pitched inside so many times and why he was an emotional driven pitcher in the mound. His stories from being with the Dodgers Organization, to being traded to the Montreal Expos and eventually to the Red Sox, are the smartest, funniest and most heartbreaking stories that a pitcher could tell. Martínez does not hesitate to express how he feels towards everyone that was in his way. Minor League coaches like Chico Fernández who told him that he'd be back in the DR cutting cane, Mike Piazza trash-talking Pedro for making so much money, and even Fenway Faithful are scatched in every way possible. For the most part of the book, you can see that Pedro is a person with a long memory and never forgets or forgives when he feels that you're hurting him. "The Dodgers gave up on me. They turned their back on me, which is why, to this day, my back is turned on them." he writes after being traded to the Dodgers. got into a brawl with future teammate and World Series companion, Curt Schilling. 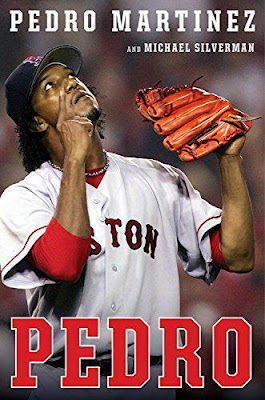 Even though the cover of the book shows Pedro with a Red Sox uniform and he'll be inducted into the Hall of Fame wearing a a Red Sox hat, don't expect the book to be mainly about his time with the Red Sox. Pedro goes into detail with every stage of his baseball career, from the Dodgers Minor League System to his final game with the Phillies. Obviously as a Red Sox fan when I think of Pedro Martínez I picture him with his afro hair coming out of his hat, standing in the mound at Fenway and about to plunk a Yankee; but this book does an excellent job to remind you that Pedro was a kid from the Dominican Republic that began his career with the Dodgers, got traded to the Expos, then to the Red Sox, signed with the Mets and retired as a Phillie. "Pedro" is a must-have on your Summer reading list, and even more if you're a baseball fan. This is the enchanting and gripping story of a kid that went to be sitting under a mango tree without 50 cents to pay for a bus, to at one point be the center of attention of New York. Are you planning to read "Pedro"? What are your favorite Red Sox related books? Leave your comments below and don't forget to follow us on Twitter at @RedSoxLife.